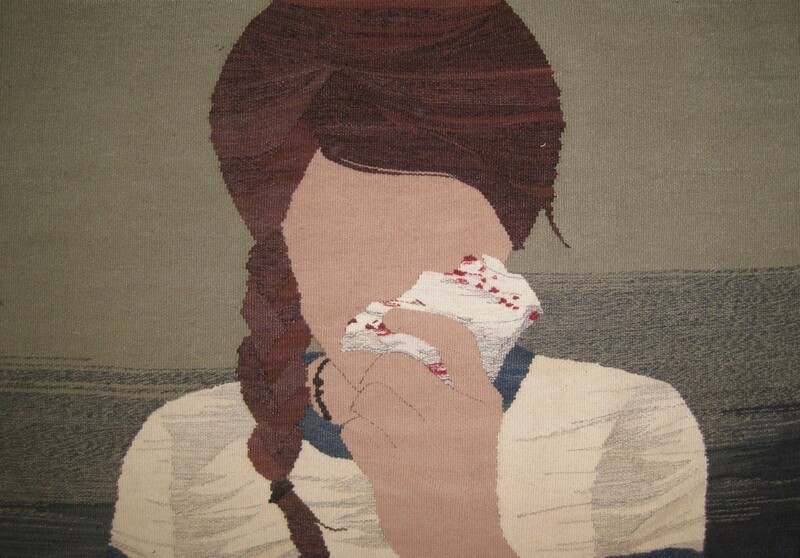 Erin M. Riley is a Brooklyn-based artist. 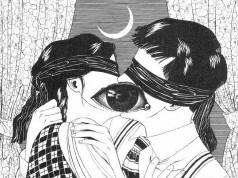 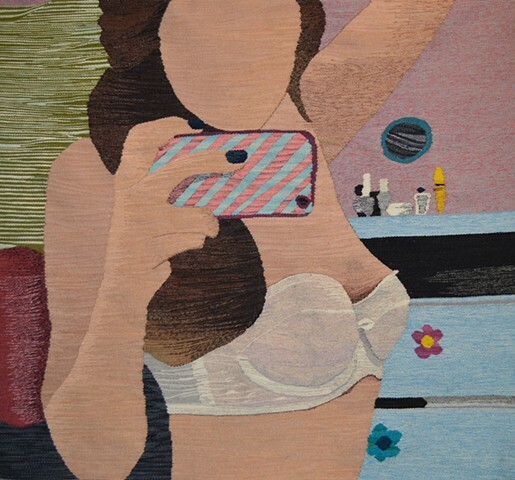 As a true child of the Internet, Riley draws her inspiration and themes from the era that changed the world. 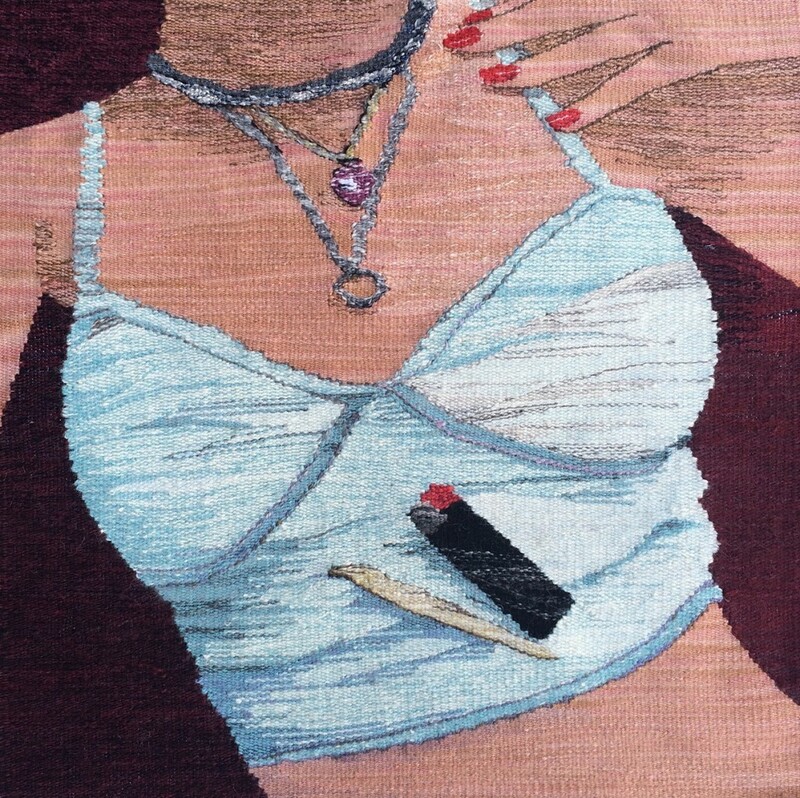 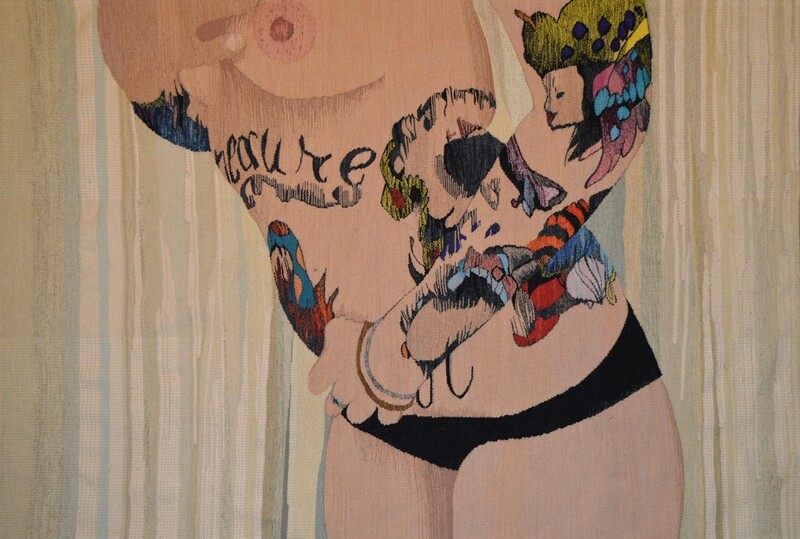 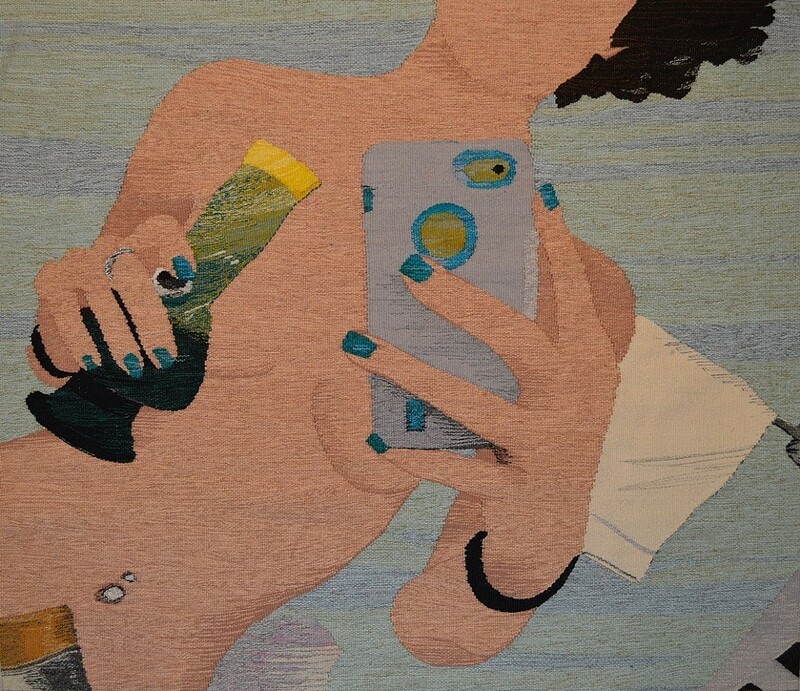 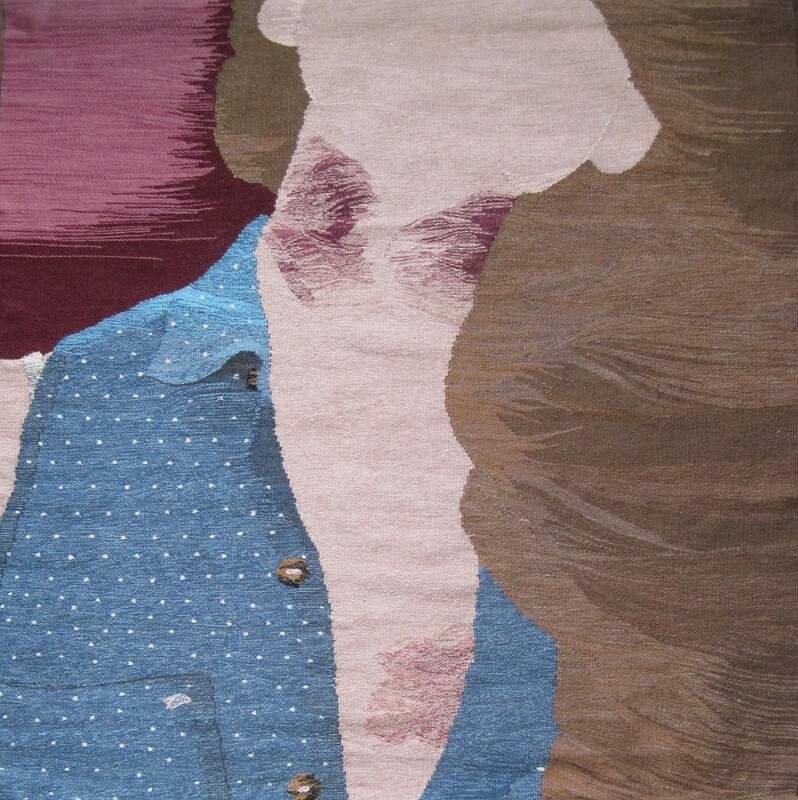 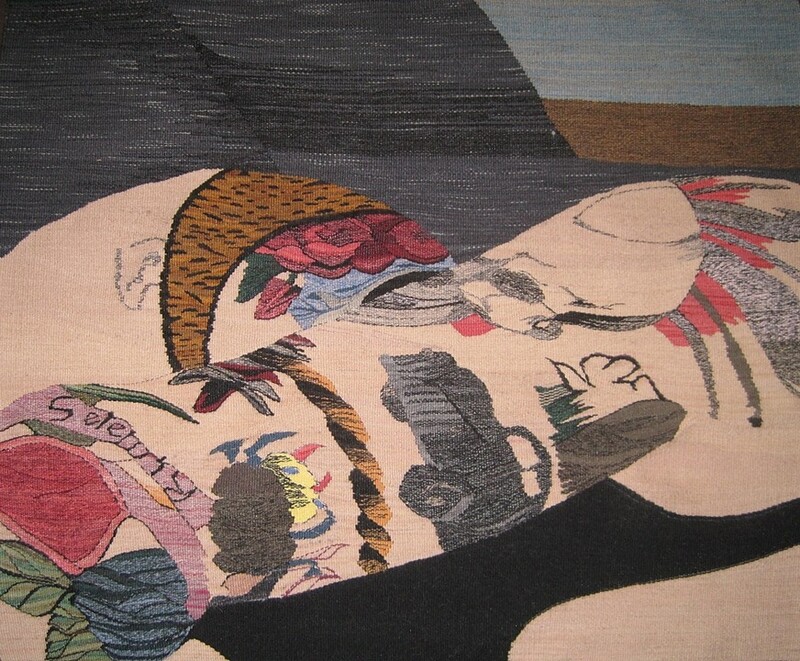 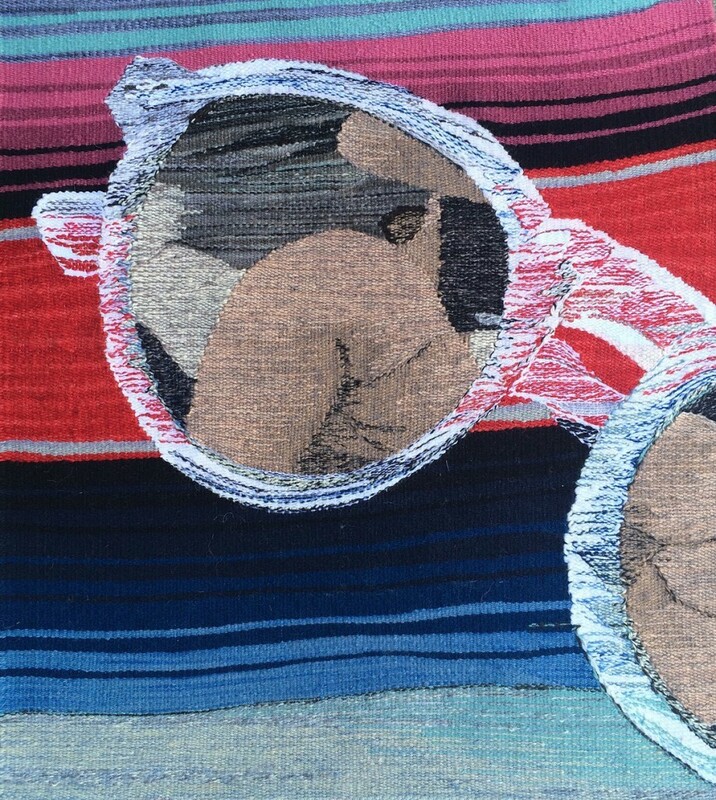 Influenced by the Instagram generation, Riley uses found imagery to create her hand-woven tapestries. 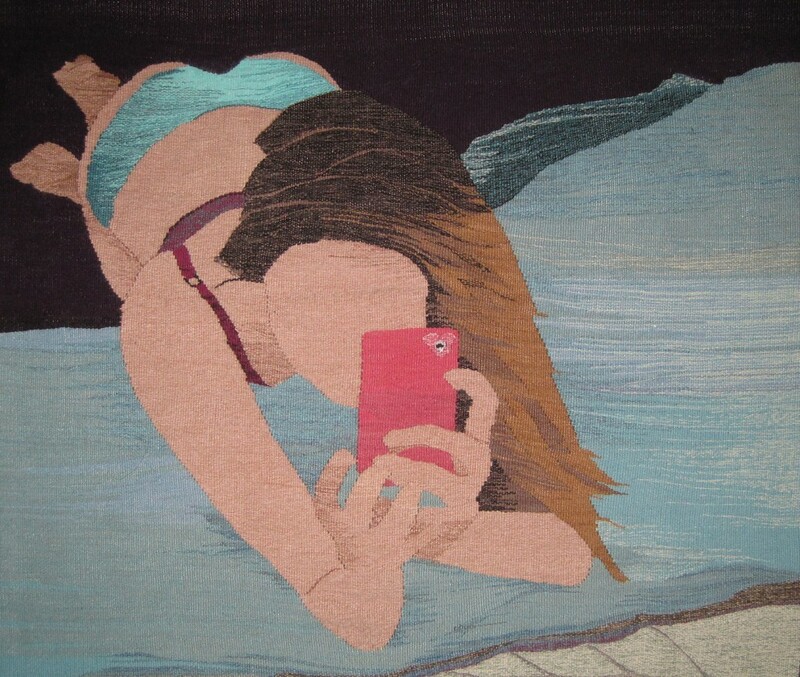 Her subjects vary from iPhone nudes to details of intimate sexual moments and objects like used tampons. 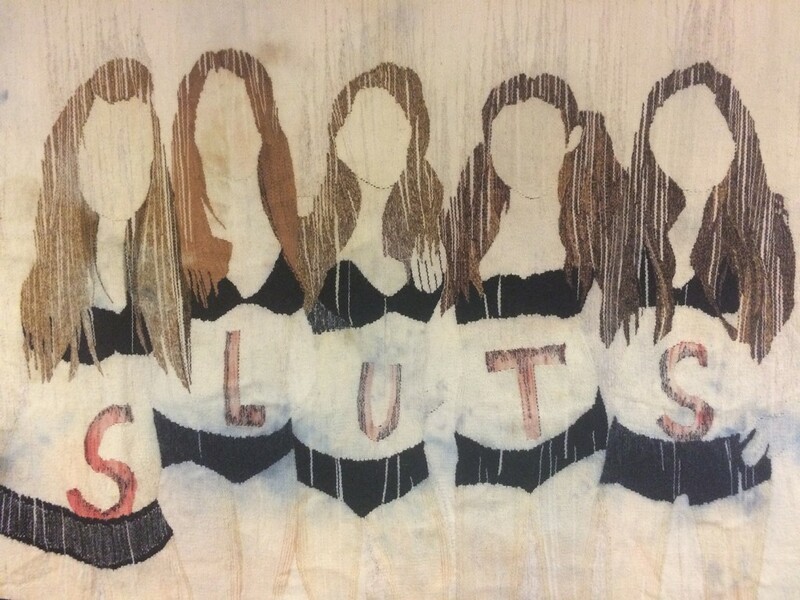 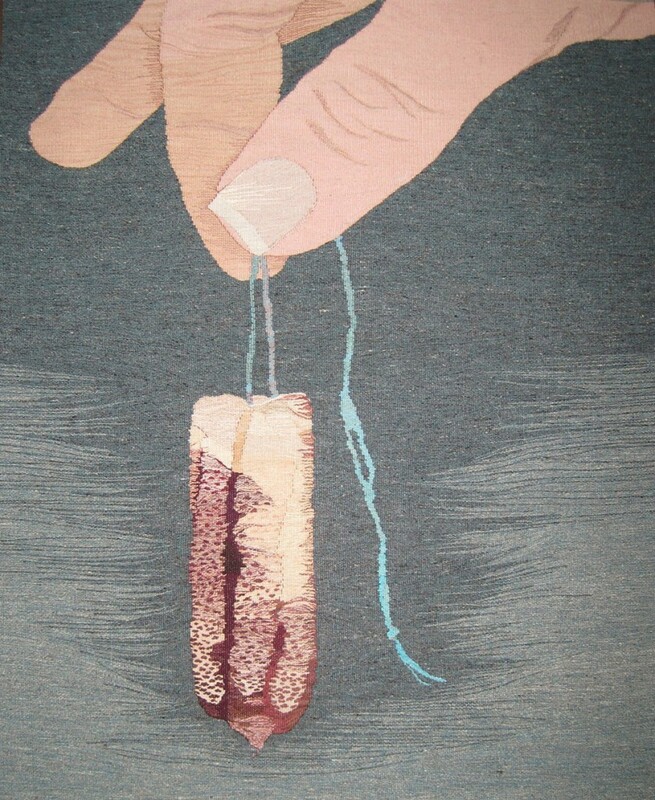 The artist is not afraid to discuss issues often considered taboo, while she continues the dialogue regarding stereotypes around women, feminism and sexual freedom. 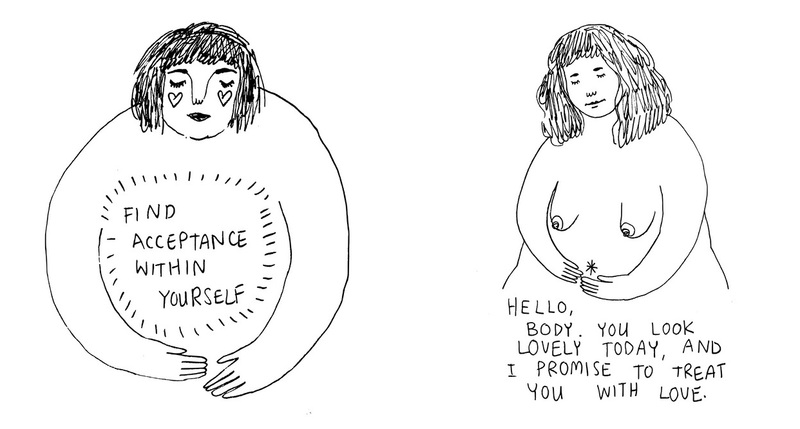 “There is so much about being a woman that is hidden. 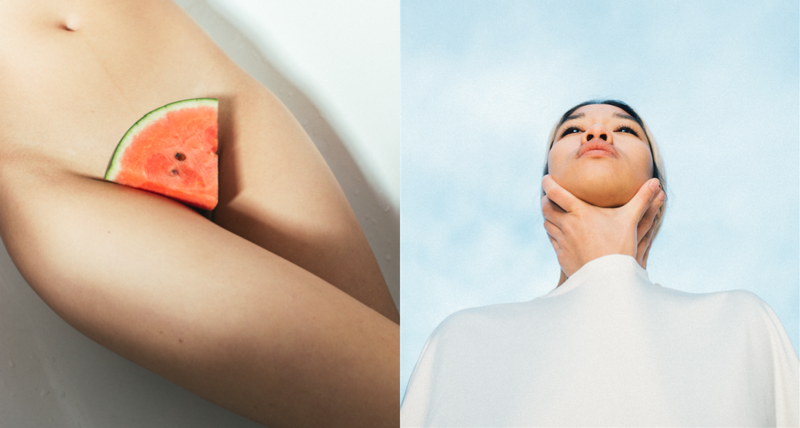 We are meant to be clean, precious and virginal, and yet there are bodily functions that are off limits… I want to face the daily objects that so many women use, but so many women hide. 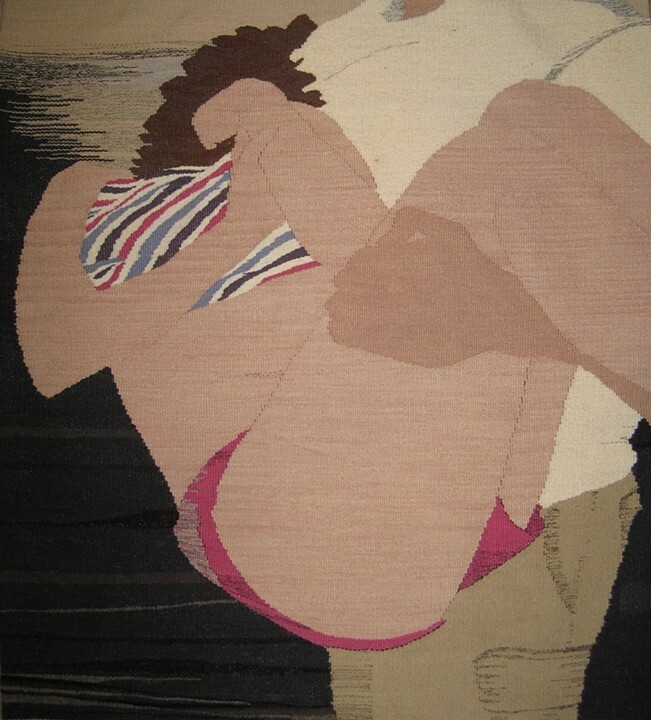 The more comfortable we are around certain things, the less they can be used against us,” she explains.